Bonafide Farm - Hello from Scotland! 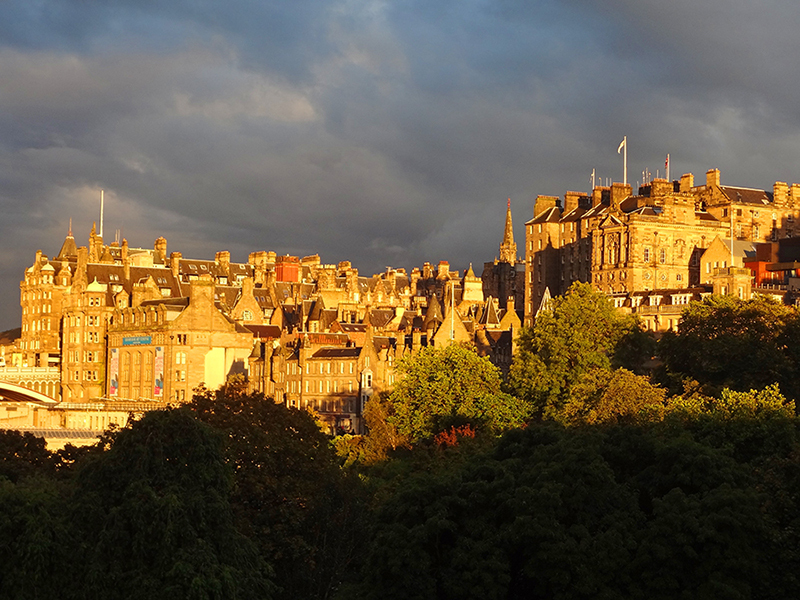 I know it’s been nearly two months of silence here on the Bonafide Blog, but just wanted to pop back in to say that I will now be writing from Edinburgh, Scotland! I moved here in early September, arriving on my 35th birthday, and have since been studying Horticulture with Plantsmanship at the Royal Botanic Garden Edinburgh and the Scotland’s Rural College. It’s been a long-held dream to study plants in the U.K., and I am really excited to be doing it at one of the best places in the world for the study of horticulture. It’s been an absolutely crazy two months, during which my world turned upside down. I was pretty sure I’d shut down the blog. But now circumstances have evolved so that I will actually be doing some farming in Scotland, so I plan on writing about that here as well as the odd observation or two about expatriate life. I may even get around to exploring all the lessons I learned at Bonafide Farm, as promised. To everyone who wrote asking about Tucker, he is safe and sound living the good life with my parents just a short drive away from the old Bonafide Farm. He is enjoying his new home, where he has a full-time canine playmate, and of course the love and attention of my parents, who are wonderful with him. My kitty is there as well, and all my chickens found good new homes with friends. I’m not going to say it was easy to leave them all, but every creature is well-taken-care-of and happy. Thank you all for your lovely comments on my last post. I didn’t really know so many people were reading and finding what I wrote useful and inspirational, so it was a wonderful surprise to hear all the nice things you had to say. Thank you for reading, and I hope you stick with me for the next iteration of Bonafide Farm. More to come, very soon! Good Luck on your new adventures. Can’t wait to read more about your new life. Hello!! Or should I say, Och aye!? So excited for you and your adventure. Glad you are keeping the blog going. I am looking forward to your posts! I’m ecstatic that the blog isn’t gone! YAY!! Okay, now you’re living my dream to the last detail. Farming in Scotland? Oh my goodness. I’m glad for you! So happy to hear an update! And what a update it is! What a beautiful place to be! Good luck with everything and of course look forward to future posts. Glad you didn’t give up on the blog! I look forward to beautiful Scotland pics! How exciting and fulfilling that you are getting the chance to live out a dream. I’m looking forward to hearing of your new life! How exciting! Can’t wait to hear more. And we all knew that you would leave all your pets with wonderful homes. Glad to hear they are all well too. Tucker is such a cutie. Wonderful to hear you’ve landed safely in Edinburgh. Looking forward to hearing all you have to share! Well, we certainly look forward to reading about your farming activities there in Scotland. I would really like to fead about everything else too… How is life there, what’s the uni like, and how about the food?! Thanks for all your nice messages about my Scotland news! I am sorry I haven’t been able to write more updates, but all is well and I will get back to it soon! Thanks for sticking with me! You are currently reading Hello from Scotland! at Bonafide Farm.